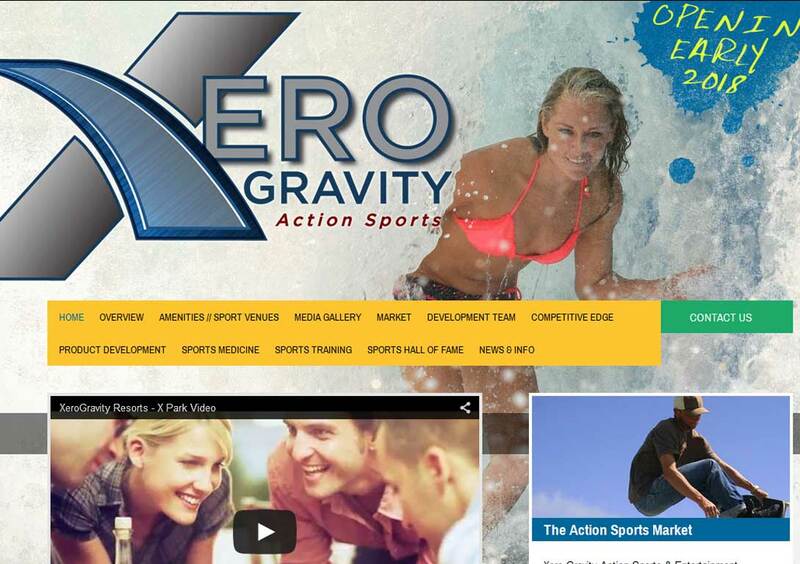 DESCRIPTION: The Xero Gravity Action Sports website was designed and developed by PTC Computer Solutions. Xero Gravity Action Sports & Entertainment Complex is a multi-faceted action sports and entertainment complex giving individuals hands-on experiences while hosting year round pro and amateur competitions housed in a theme park setting. Xero Gravity Action Sports & Entertainment Complex has identified the Action sports entertainment industry as the fastest growing sports and entertainment industry in the United States and Internationally. The move to individual action sports has taken its place among traditional sports. You can find out more by going directly to their personal website, www.xerogravityactionsports.com, or contact them directly at lwalshaw@xerogravityactionsports.com or 904-759-1674.